I don’t live near a branch. Can I still use your service? 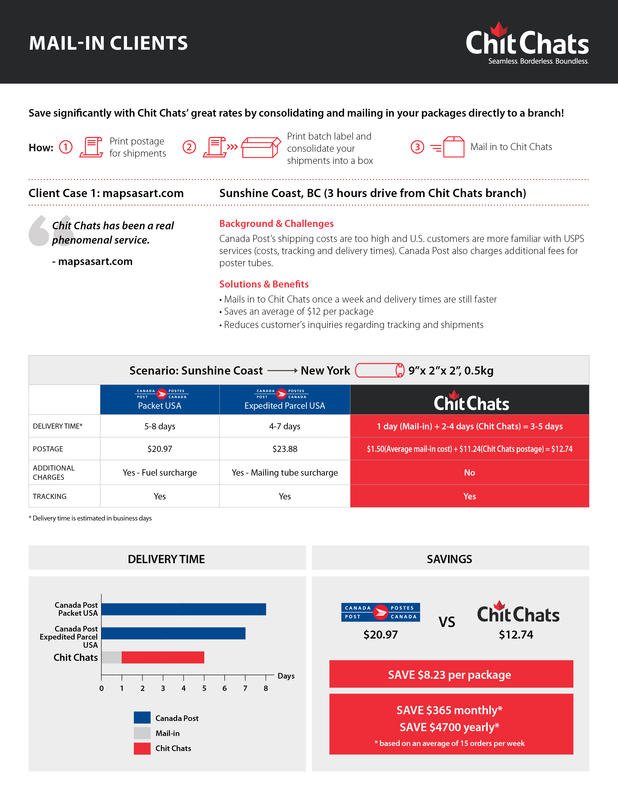 "Mailing-In" your shipments to Chit Chats. Yes, just courier your consolidated shipments to the nearest Chit Chats branch with a local courier of your choice. You will still save money on postage. 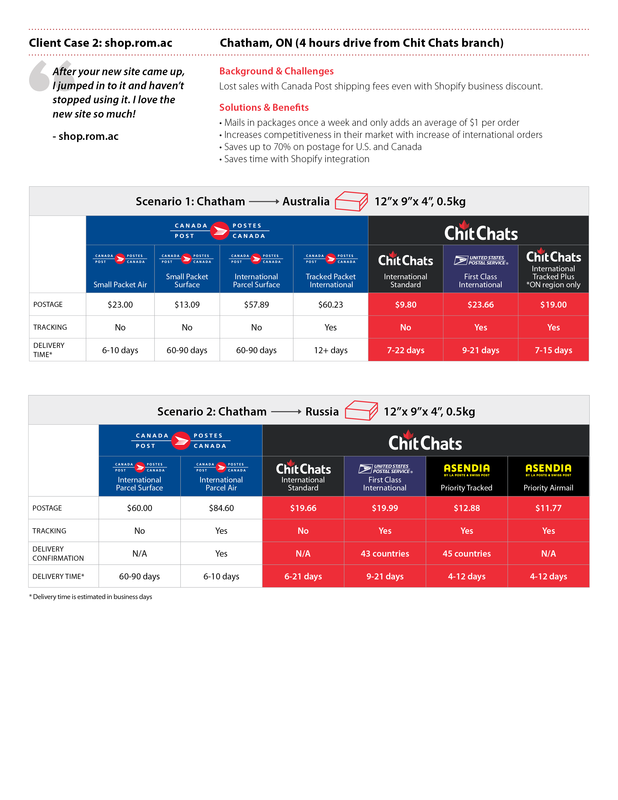 Reach out to us at support@chitchats.com for more information on how to get started.